On display at ART-of-Motion were two Mazdas from Georgetown University. 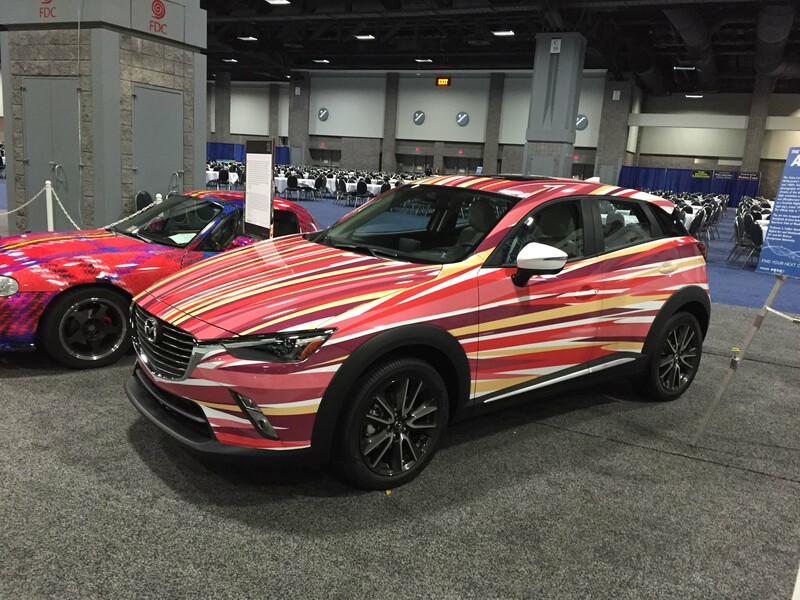 Professor L. Collier Hyams showcased the “Sassy Lassie” tartan Miata and a vibrant CX-3 at ART-of-Motion which also highlighted Mazda designs from 11 Georgetown students and Hyams. The art project is part of a partnership between Mazda and Professor Hyams’ Introduction to Graphic Design class that challenged students to create exterior artwork relating to the theme “Kodo,” a Japanese word roughly translating to “soul of motion.” Nearly 130 designs were submitted by students in November and the top three winners were chosen by Mazda North American Operations Design Director Julien Montousse. Elle Vernerey’s “Flash” took first place and Zack Bennett-Engler’s “Hyper” placed second. “It was the last thing I expected, to be honest,” Vernerey said of her pick. 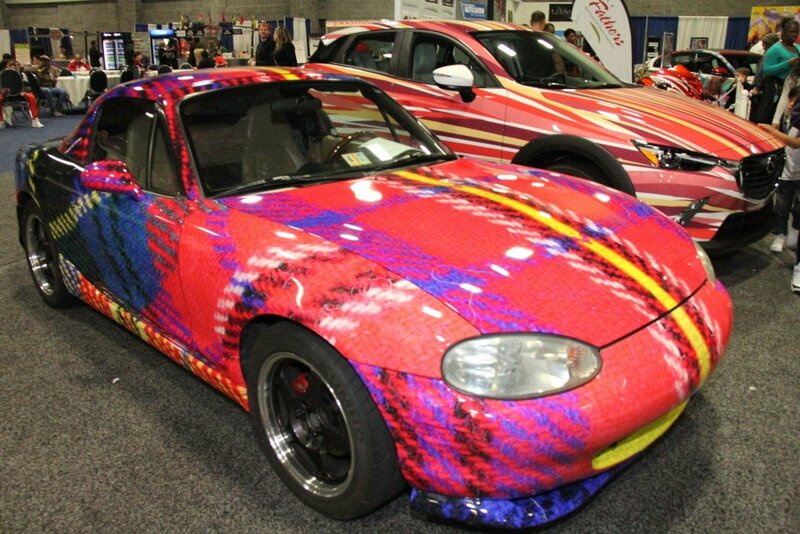 “I felt good about my designs, and I thought they looked cool, but there were other people in the class who were very artistic.” Flash incorporates strokes of color that make the car look as if it is moving when it is stationary. Conceiving the design took Vernerey a little more than a week, but only five hours to design it on the computer. Bennett-Engler’s second-place car was on display at ART-of-Motion alongside a decorative wrap designed by Hyams. This is the first year that Hyams has partnered with Automotive Rhythms and the second year with Mazda for the competition.